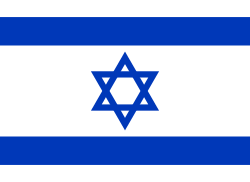 Israel and Judah were related Iron Age kingdoms of the ancient Levant. The Kingdom of Israel emerged as an important local power by the 9th century BCE before falling to the Neo-Assyrian Empire in 722 BCE. Israel's southern neighbor, the Kingdom of Judah, emerged in the 8th century BCE and enjoyed a period of prosperity as a client-state of first Assyria and then Babylon before a revolt against the Neo-Babylonian Empire led to its destruction in 586 BCE. Following the fall of Babylon to the Persian king Cyrus the Great in 539 BCE, some Judean exiles returned to Jerusalem, inaugurating the formative period in the development of a distinctive Judahite identity in the Persian province of Yehud. Yehud was absorbed into the subsequent Hellenistic kingdoms that followed the conquests of Alexander the Great, but in the 2nd century BCE the Judaeans revolted against the Hellenist Seleucid Empire and created the Hasmonean kingdom. This, the last nominally independent Judean kingdom, came to an end in 63 BCE with its conquest by Pompey of Rome. With the installation of client kingdoms under the Herodian Dynasty, the Kingdom of Israel was wracked by civil disturbances which culminated in the First Jewish–Roman War, the destruction of the Temple, the emergence of Rabbinic Judaism and Early Christianity. The eastern Mediterranean seaboard – the Levant – stretches 400 miles north to south from the Taurus Mountains to the Sinai desert, and 70 to 100 miles east to west between the sea and the Arabian desert. The coastal plain of the southern Levant, broad in the south and narrowing to the north, is backed in its southernmost portion by a zone of foothills, the Shephelah; like the plain this narrows as it goes northwards, ending in the promontory of Mount Carmel. East of the plain and the Shephelah is a mountainous ridge, the "hill country of Judah" in the south, the "hill country of Ephraim" north of that, then Galilee and the Lebanon mountains. To the east again lie the steep-sided valley occupied by the Jordan River, the Dead Sea, and the wadi of the Arabah, which continues down to the eastern arm of the Red Sea. Beyond the plateau is the Syrian desert, separating the Levant from Mesopotamia. To the southwest is Egypt, to the northeast Mesopotamia. The location and geographical characteristics of the narrow Levant made the area a battleground among the powerful entities that surrounded it. 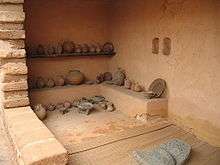 The Canaanite city-state system broke down at the end of the Late Bronze period, and Canaanite culture was then gradually absorbed into that of the Philistines, Phoenicians and Israelites. The process was gradual, rather than swift, and a strong Egyptian presence continued into the 12th century BCE, and, while some Canaanite cities were destroyed, others continued to exist in Iron Age I. The name "Israel" first appears in the stele of the Egyptian pharaoh Merneptah c. 1209 BCE: "Israel is laid waste and his seed is no more." 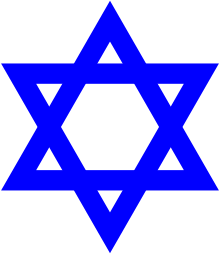 This "Israel" was a cultural and probably political entity of the central highlands, well enough established for the Egyptians to perceive it as a possible challenge to their hegemony, but an ethnic group rather than an organised state; Archaeologist Paula McNutt says: "It is probably ... during Iron Age I [that] a population began to identify itself as 'Israelite'," differentiating itself from its neighbours via prohibitions on intermarriage, an emphasis on family history and genealogy, and religion. These surveys revolutionized the study of early Israel. The discovery of the remains of a dense network of highland villages — all apparently established within the span of few generations — indicated that a dramatic social transformation had taken place in the central hill country of Canaan around 1200 BCE. There was no sign of violent invasion or even the infiltration of a clearly defined ethnic group. Instead, it seemed to be a revolution in lifestyle. In the formerly sparsely populated highlands from the Judean hills in the south to the hills of Samaria in the north, far from the Canaanite cities that were in the process of collapse and disintegration, about two-hundred fifty hilltop communities suddenly sprang up. Here were the first Israelites. From then on, over a period of hundreds of years until after the return of the exiles from Babylon, the Israelites and other tribes gradually absorbed the Canaanites. After the period of Ezra (~450 BCE) there is no more biblical record of them. The Hebrew language, a dialect of Canaanite, became the language of the hill country, and later of the valleys and plains. Unusually favourable climatic conditions in the first two centuries of Iron Age II brought about an expansion of population, settlements and trade throughout the region. In the central highlands this resulted in unification in a kingdom with the city of Samaria as its capital, possibly by the second half of the 10th century BCE when an inscription of the Egyptian pharaoh Shoshenq I, the biblical Shishak, records a series of campaigns directed at the area. Israel had clearly emerged by the middle of the 9th century BCE, when the Assyrian king Shalmaneser III names "Ahab the Israelite" among his enemies at the battle of Qarqar (853). At this time Israel was apparently engaged in a three-way contest with Damascus and Tyre for control of the Jezreel Valley and Galilee in the north, and with Moab, Ammon and Damascus in the east for control of Gilead; the Mesha stele (c. 830), left by a king of Moab, celebrates his success in throwing off the oppression of the "House of Omri" (i.e., Israel). It bears what is generally thought to be the earliest extra-biblical Semitic reference to the name Yahweh (YHWH), whose temple goods were plundered by Mesha and brought before his own god Kemosh. French scholar André Lemaire has reconstructed a portion of line 31 of the stele as mentioning the "House of David". Other scholars disagree, saying that BYTDWD is a place name not a dynasty. The Tel Dan stele (c. 841) tells of the death of a king of Israel, probably Jehoram, at the hands of a king of Aram Damascus. A century later Israel came into increasing conflict with the expanding neo-Assyrian empire, which first split its territory into several smaller units and then destroyed its capital, Samaria (722). Both the biblical and Assyrian sources speak of a massive deportation of people from Israel and their replacement with settlers from other parts of the empire – such population exchanges were an established part of Assyrian imperial policy, a means of breaking the old power structure – and the former Israel never again became an independent political entity. In the 7th century Jerusalem grew to contain a population many times greater than earlier and achieved clear dominance over its neighbours. This occurred at the same time that Israel was being destroyed by Assyria, and was probably the result of a cooperative arrangement with the Assyrians to establish Judah as an Assyrian vassal controlling the valuable olive industry. Judah prospered as an Assyrian vassal state (despite a disastrous rebellion against Sennacherib), but in the last half of the 7th century BCE Assyria suddenly collapsed, and the ensuing competition between the Egyptian and Neo-Babylonian empires for control of the land led to the destruction of Judah in a series of campaigns between 597 and 582. 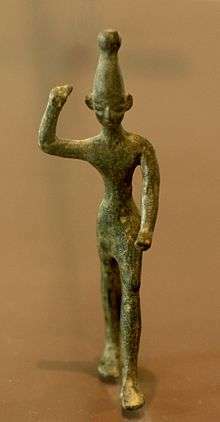 Yahweh, the national god of both Israel and Judah, seems to have originated in Edom and Midian in southern Canaan and may have been brought to Israel by the Kenites and Midianites at an early stage. There is a general consensus among scholars that the first formative event in the emergence of the distinctive religion described in the Bible was triggered by the destruction of Israel by Assyria in c. 722 BCE. Refugees from the northern kingdom fled to Judah, bringing with them laws and a prophetic tradition of Yahweh. This religion was subsequently adopted by the landowners of Judah, who in 640 BCE placed the eight-year-old Josiah on the throne. Judah at this time was a vassal state of Assyria, but Assyrian power collapsed in the 630s, and around 622 Josiah and his supporters launched a bid for independence expressed as loyalty to "Yahweh alone". Judah's independence was expressed in the law-code in the Book of Deuteronomy, written as a treaty between Judah and Yahweh to replace the vassal-treaty with Assyria. The Second Temple period (520 BCE – 70 CE) differed in significant ways from what had gone before. Strict monotheism emerged among the priests of the Temple establishment during the seventh and sixth centuries BCE, as did beliefs regarding angels and demons. At this time, circumcision, dietary laws, and Sabbath-observance gained more significance as symbols of Jewish identity, and the institution of the synagogue became increasingly important. According to the documentary hypothesis, most of the Torah was written during this time. 1 2 Grabbe 2008, pp. 225–6. ↑ King & Stager 2001, p. xxiii. ↑ Miller 1986, p. 36. ↑ Coogan 1998, pp. 4–7. ↑ Finkelstein 2001, p. 78. 1 2 Killebrew 2005, pp. 38–9. ↑ Cahill in Vaughn 1992, pp. 27–33. ↑ Kuhrt 1995, p. 317. ↑ Killebrew 2005, pp. 10–6. ↑ Golden 2004b, pp. 61–2. ↑ Golden 2004a, p. 155. ↑ Edelman in Brett 2002, p. 46-47. ↑ Compare: Gnuse, Robert Karl (1997). No Other Gods: Emergent Monotheism in Israel. Journal for the study of the Old Testament: Supplement series. 241. Sheffield: A&C Black. p. 31. ISBN 9781850756576. Retrieved 2016-06-02. Out of the discussions a new model is beginning to emerge, which has been inspired, above all, by recent archaeological field research. There are several variations in this new theory, but they share in common the image of an Israelite community which arose peacefully and internally in the highlands of Palestine. 1 2 3 Thompson 1992, p. 408. 1 2 3 Mazar in Finkelstein 2007, p. 163. ↑ "TelDan". vridar.info. Retrieved 2016-05-26. ↑ Lemche 1998, p. 85. ↑ David M. Carr, Writing on the Tablet of the Heart: Origins of Scripture and Literature, Oxford University Press, 2005, 164. ↑ First Impression: What We Learn from King Ahaz’s Seal (#m1), by Robert Deutsch, Archaeological Center. 1 2 3 Thompson 1992, pp. 410–1. ↑ Grabbe 2004, p. 28. ↑ Lemaire in Blenkinsopp 2003, p. 291. ↑ Lipschits 2005, p. 48. ↑ Blenkinsopp in Blenkinsopp 2003, pp. 103–5. ↑ Blenkinsopp 2009, p. 228. ↑ Middlemas 2005, pp. 1–2. ↑ Miller 1986, p. 203. ↑ Middlemas 2005, p. 2. 1 2 Middlemas 2005, p. 10. ↑ Middlemas 2005, p. 17. ↑ Bedford 2001, p. 48. ↑ Barstad 2008, p. 109. ↑ Albertz 2003a, p. 92. ↑ Albertz 2003a, pp. 95–6. ↑ Albertz 2003a, p. 96. 1 2 Blenkinsopp 1988, p. 64. ↑ Lipschits in Lipschits 2006, pp. 86–9. ↑ Grabbe 2004, pp. 29–30. ↑ Nodet 1999, p. 25. ↑ Davies in Amit 2006, p. 141. ↑ Niehr in Becking 1999, p. 231. ↑ Wylen 1996, p. 25. ↑ Grabbe 2004, pp. 154–5. ↑ Soggin 1998, p. 311. ↑ Miller 1986, p. 458. ↑ Blenkinsopp 2009, p. 229. ↑ Albertz 1994, pp. 437–8. ↑ Kottsieper in Lipschits 2006, pp. 109–10. ↑ Becking in Albertz 2003b, p. 19. ↑ Weigel, David. "Hanukkah as Jewish civil war - Slate Magazine". Slate.com. Retrieved 2012-08-15. ↑ "The Revolt of the Maccabees". Simpletoremember.com. Retrieved 2012-08-15. ↑ Davies 1992, pp. 149–50. ↑ Ben-Sasson 1976, p. 246. ↑ Van der Toorn 1996, p.4. ↑ Van der Toorn 1996, p. 181–2. 1 2 Smith 2002, p. 57. ↑ Van der Toorn 1999, p. 911–3. Becking, Bob; Korpel, Marjo Christina Annette, eds. (1999). The Crisis of Israelite Religion: Transformation of Religious Tradition in Exilic and Post-Exilic Times. Brill. Niehr, Herbert. Religio-Historical Aspects of the Early Post-Exilic Period. Blenkinsopp, Joseph; Lipschits, Oded, eds. (2003). Judah and the Judeans in the Neo-Babylonian Period. Eisenbrauns. Blenkinsopp, Joseph. "Bethel in the Neo-Babylonian Period". Missing or empty |title= (help) Lemaire, André. Nabonidus in Arabia and Judea During the Neo-Babylonian Period.